On March 31st, 2014 we became official owners of the future site of the Transformation Center! The Transformation Center will be the mission outlet of Streetlite Christian Fellowship located in Brooklyn, MD. Work has already begun and we hope to see our first ministries launched in the very near future! Below you can download of the vision and the story behind our journey to this moment! 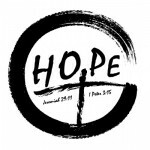 Circle of Hope is a Mission that seeks to CIRCLE a BLOCK of families and minister to their every need. We have begun this mission in Westport and seek to love a neighbor for Christ. Our dream is to one day CIRCLE every block of our city and be a vehicle of help and hope in the name of Jesus.